If you are those users who receives a number of calls, fake calls and prank calls, then you might like to block those calls. 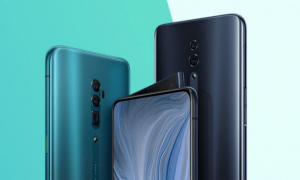 Importantly you would be looking to record few calls so that you remember your conversation with your friends or colleagues for the latter review. 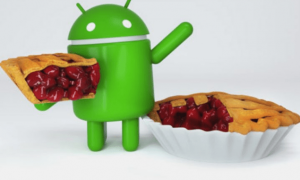 If you are looking for something like that on your Android smartphone then Sanity is the one which makes it count for you without paying any extra cost. 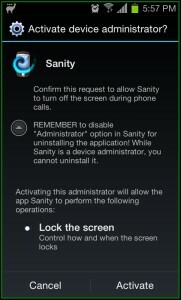 Sanity is an Android application dedicated to make your phone calls easier, better and healthy. 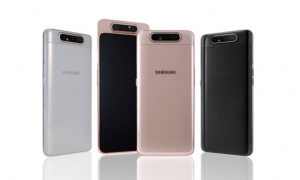 This is your personal assistance to record your calls whether incoming or outgoing and block unwanted calls and SMS that you don’t want on your phone. 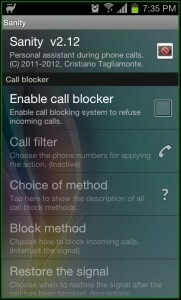 Blocking calls option comes with various settings of SMS filtering, block by choosing dates and time and more advanced. 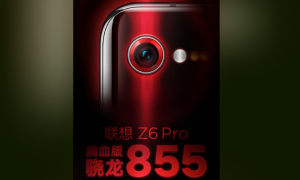 Various other settings of Auto answer, announce caller and SMS name while you receive a call or message, automatic speaker phone, outgoing anonymous calls, reduce electromagnetic waves, automatic Bluetooth headsets, airplane mode timeout are present here. 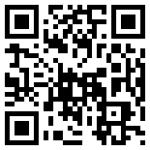 As soon as you install this application and run it on your mobile phone you will be welcomed with a welcome message. Tap on OK. 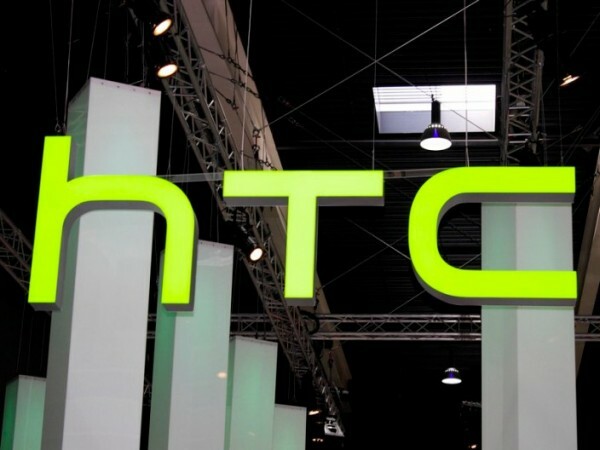 The next is the software license agreement and you need to tap on OK to continue. 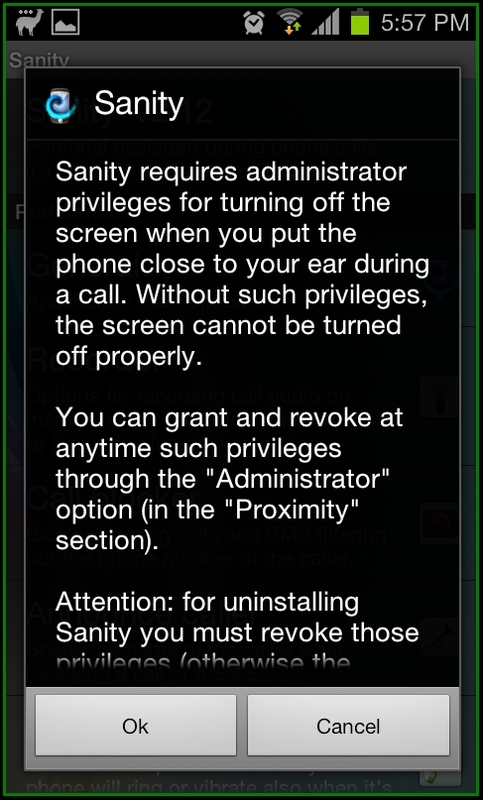 Sanity application on your mobile phone requires permissions of administrator to interfere with your phone settings during calls. 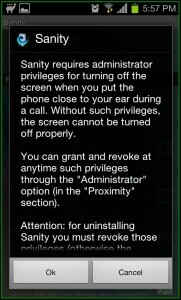 The administrator settings are located in the Proximity section and you can grant or revoke it at any time. In the next screen tap on Activate. 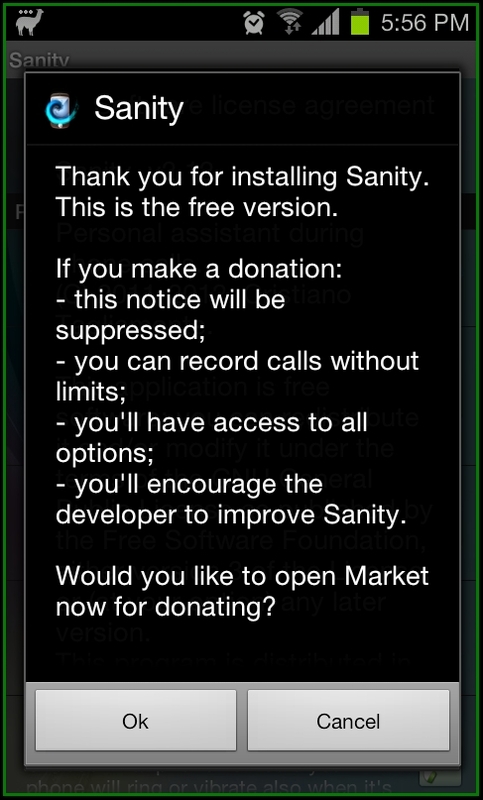 On you are done with that you will be on to the home screen of Sanity. 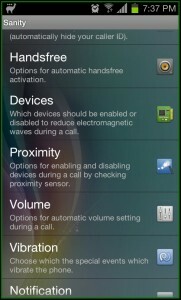 The home screen contains the preferences of general, recorder, call blocker, Announce Caller, Urgent Calls and various other options. 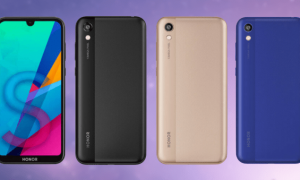 Airplane Mode Timeout : Each time when you set your phone in the Airplane mode, you sometime forget to turn it back to normal mode but with Sanity application you can set up timeout for restoring automatically back to normal mode. Its quite simple and as you know your flight time, set it accordingly and as the time approaches, your phone would be back to normal mode automatically. 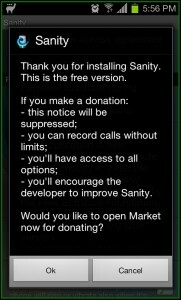 These settings are located in Sanity application under the General Tab. 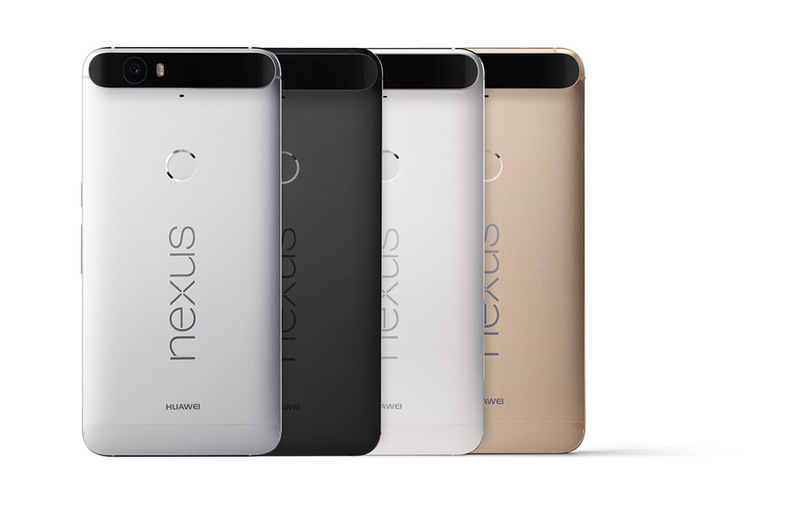 Silent Mode Timeout : Similar settings for Silent mode timeout are present to restore back your phone in normal mode. Call Recorder : The call recorder is the option to provide you with the various call recording settings like activating recorder. When you tap on activate, remaining other options would get activated with audio format, multimedia scanner, Automatic start and automatic stop. 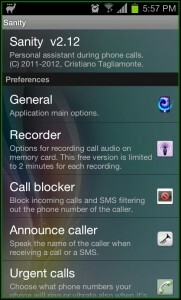 Call or SMS Blocker : Your Sanity application can also work as the call blocker apart from call recording capabilities. 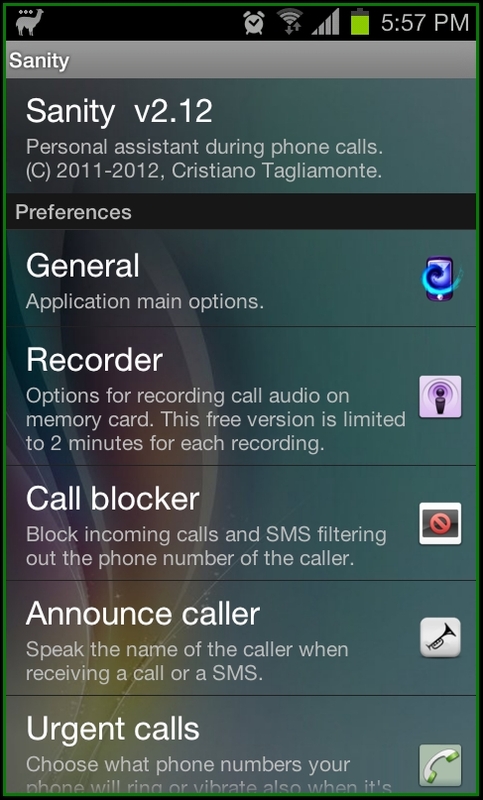 Users can block incoming calls from a specific number and filter out SMS out of the phone number of the caller. 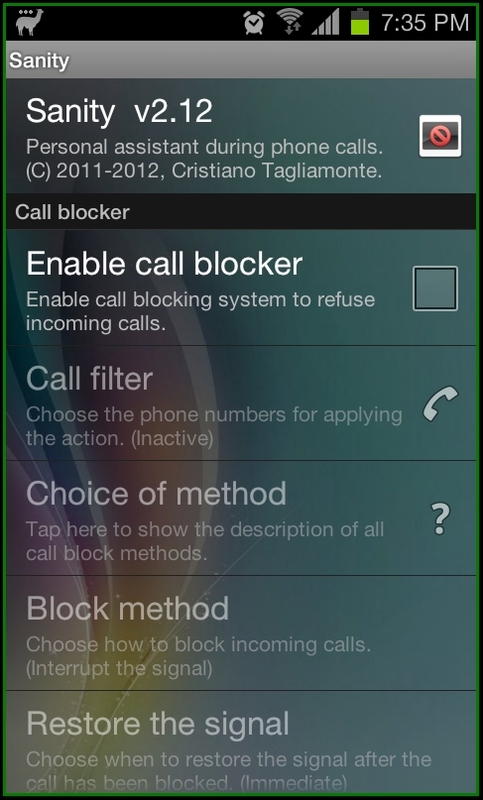 When you tap on Call Blocker from Sanity home, you will see various other options for call blocker with block filter, SMS blocker and lot more. 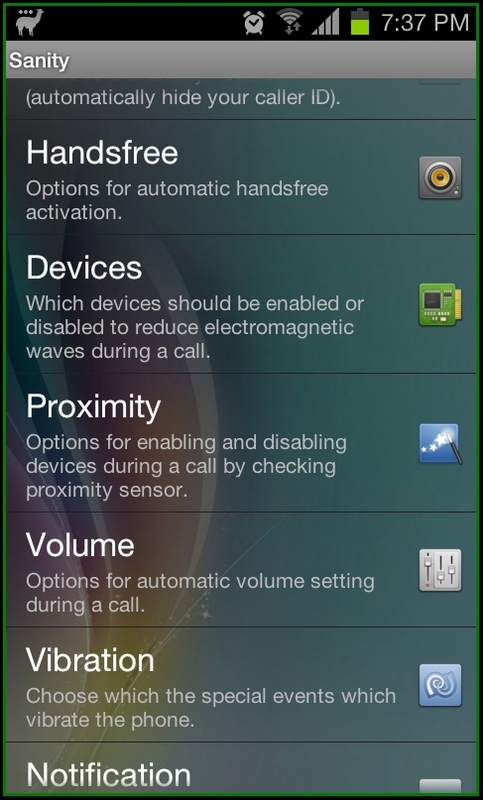 Other settings like Announce caller name while when you receive calls, urgent calls, auto answer, anonymous calls, handsfree to the device, proximity, volume, vibration are available. 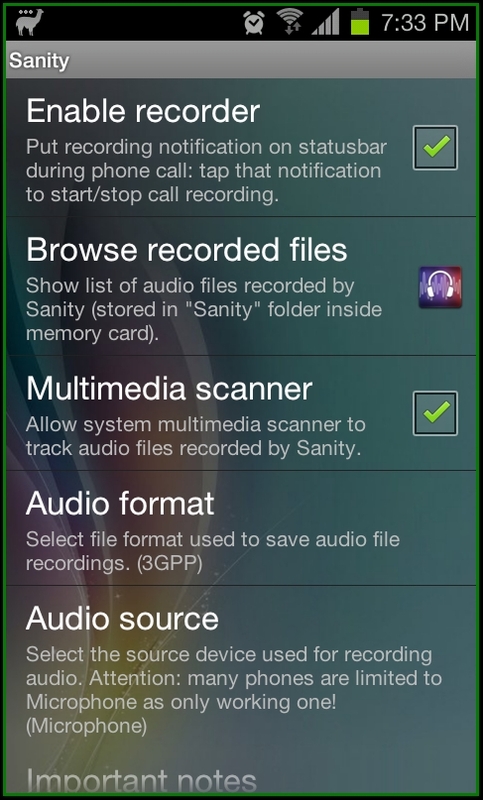 Sanity Android application can be easily downloaded from Android Apps Labs for free. 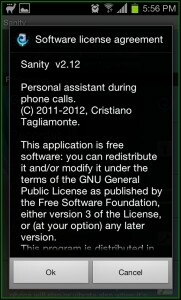 To download it directly on to your mobile phone, you need to visit the Android Apps Labs page listing of Sanity application from your phone’s browser and then click on Install to automatically proceed with the installation. 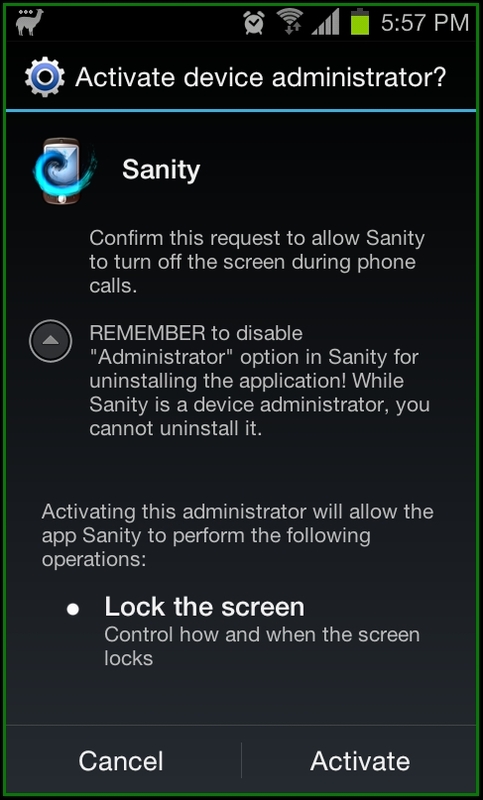 Sanity Android application is a multi-options application which eliminates installation of various apps dedicated for call blocking, SMS blocking. 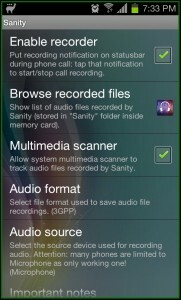 This also includes various automated settings of Airplane mode timeout and silent mode time out which are handy enough.